More advanced, improved version of one of the most popular DEAL series. 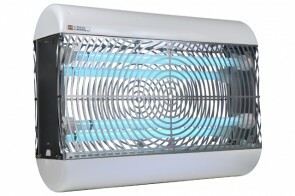 The I-DEAL electric insect killers cover much larger area than other models – even up to 400 m2 ! This makes them a perfect choice for larg facilities, including warehouses, food processing plants and industrial halls. Our I-DEAL fly traps feature new-generation attraction system, which includes even more effective UV-A tubes and yellow glueboards . Advanced attraction system comes with higher energy savings electronic ballast and improved (IP 44 or IP 65) protection rate. As a result, these insect exterminator traps can be used in high humidity and dusty conditions, making the whole range even more reliable and universal. 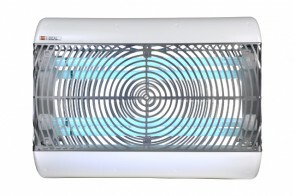 More advanced light fly killers preserve all the advantages of medium-range models, including several mounting options (free-standing, wall or ceiling).